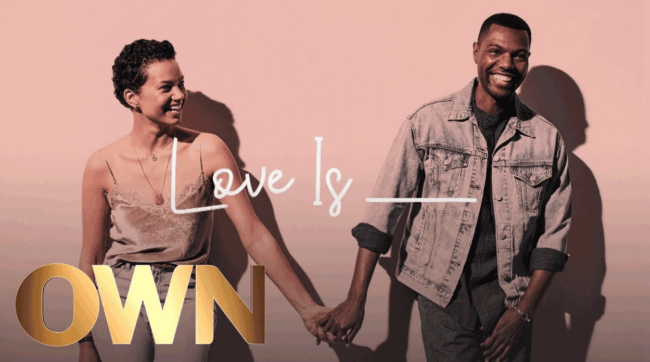 The internet is all in a tizzy over OWN ‘s latest show, Love Is___ from the king and queen of relationship dramas Mara Brock Akil and Salim Akil. The duo behind hit series Girlfriends, The Game and Being Mary Jane are now telling their love story from their adult perspective. The show, which debuted June 19, explores how two people from wait for it — different worlds — unexpectedly come together and find a love supreme. Told from the perspective of the couple’s present-day selves, the romantic drama also revisits the social issues and vibrant black culture of that time reflecting on how it all aligned to shape the couple they have become nearly 20 years later — a power couple navigating a complex set of social codes while also balancing successful careers and a beautiful family. Drawing inspiration from the Akil’s real life relationship journey, the series explores the highs, the lows, and the magic of falling (and staying) in love. 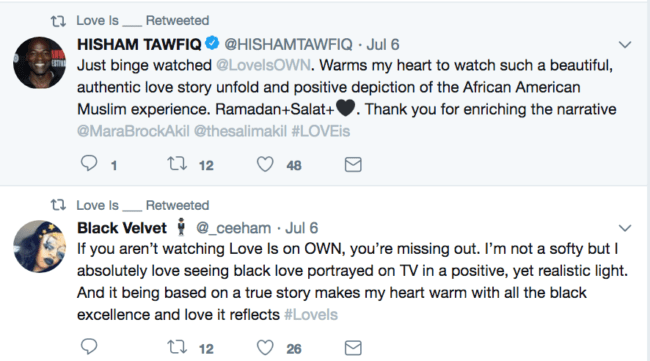 “Love Is ___” also features Primetime Emmy®-winner Loretta Devine (“Grey’s Anatomy”), NAACP Image Award-nominee Vanessa Bell Calloway (“Coming to America”), NAACP Image Award-winner Tim Reid (“Sister, Sister”), Tosin Morohunfola (“The Chi”), Tammy Townsend (“Sherri”), and Michael King (“Black Lightning”), all with recurring roles. The beauty of the show is the relationship. Some would say, “It’s kismet.” What would Ruby say? Watch Love Is___on OWN, Tuesdays at 10 p.m. EST. Check your cable guide for channel information.